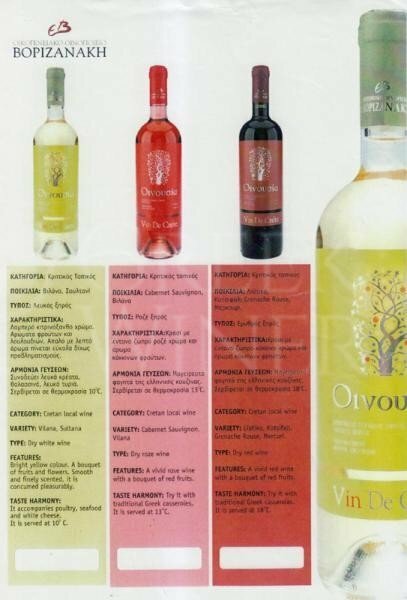 Vorizanakis winery The winery was founded in 1986, in Dafnes area in Heraklion, particularly renowned for high quality grapes and wine. In 2004, it was transferred to a new ultra-modern Winery, on the provincial road Dafnes – Venerato. 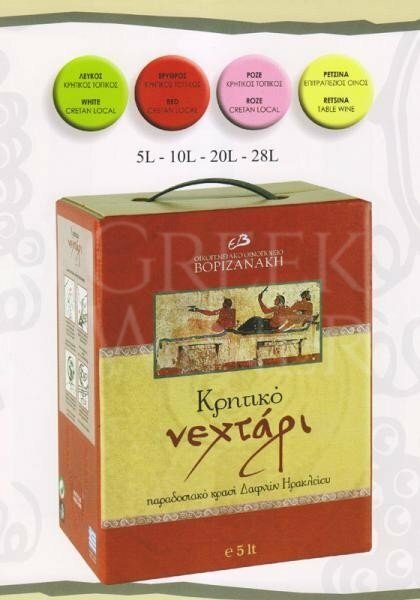 The purpose of the Winery is producing, bottling and marketing of wine throughout Greece and abroad. Their main goal is the proprietary cultivation of vineyards and the production of stable and specific qualities of wine. Initially, the production time was 20 tons, today it reaches more than 700 tonnes annually. 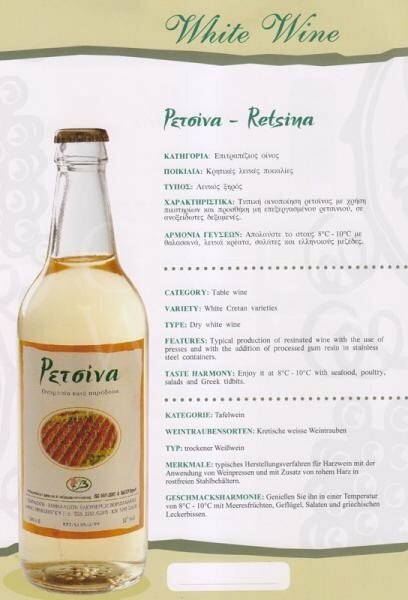 While buying grapes for wine from local producers, the Borizanaki family cultivates proprietary vineyards with the following local and international varieties: Kotsifali, Mandilari liatiko, Merkoyri, Muscat Hamburg, Vilana, Muscat white of Alexandria, Thrapsathiri, Moschofilero, Sauvignon Blanc, Chardonnay, Sauvignon, Grenache Capernet Rouse and Syrah. This winery has the most new and modern equipment and is in the process of receiving the HACCP certification ISO 9001.